Avira Scout is a secure and fast Chromium-based web browser that promises to keep your privacy intact. The browser & plugin tool gives you a more secure environment for browsing the web. As the browser app is based on Chromium, it provides a similar user interface for a rapid browsing experience. The best thing about Avira Scout is the array of solid tools and extensions that come packed with it. Being a leading antivirus solution out there, it protects your system against a wide range of threats such as malware, stealth trackers, phishing, and many more. Besides the powerful framework that it offers, Avira Scout browser comes with several built-in security extensions, such as Privacy Badger and HTTPS Everywhere. Privacy Badger looks for trackers from the sites you visit and provides an easy way to control them; while the HTTPS Everywhere lets you block all HTTPS requests. For protecting your privacy, it has a ‘no track’ functionality to blocks sites such as Facebook and Twitter from monitoring your online activity, downloads, and much more. It’s also one of those browsers that do not collect your private data, and respect your privacy and protect it. Most public hotspots don’t use encryption to protect your web browsing, and anyone with little knowledge can easily intercept your communications. Avira Scout for Windows automatically forces websites to use HTTPS protocol, thus encrypting your communications and protecting you from hackers. 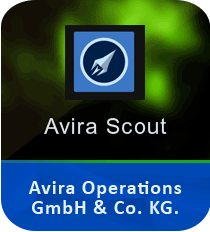 Download Avira Scout for an enhanced safety and security while surfing the net. Although, Avira Scout is in its early stage, it is a good browser to make your browsing sessions safe. It has a familiar interface, comes with robust tools and extensions, and provides you a smooth browsing experience. While the default security features might be sufficient in most cases, having an ad-blocker would be highly appreciable.